THEN he stood up, leant down and took off his shoes. The hot darkness of the room lay heavily on him. He took a slow step forward and then another. His progress was silent. Opening the door, he stepped into the outer room. He moved on, trying each board carefully with his stockinged foot before putting his full weight on it. He closed the door gently behind him, his fingers easing the door so that it shut without a sound. Pressing his leg against the side of the refrigerator to guide him, his hands touched the ' chocolate pack'. With a smile, he reached out to two wraps and suddenly, the light came on and he was caught yet again. There's no doubt that raising children isn't without its attendant challenges. Right from inception, when a child is born, parents/guardians are saddled with the responsibility of providing the basic needs he needs for optimal growth. 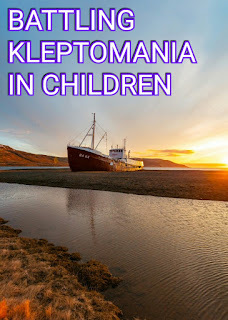 BATTLING KLEPTOMANIA IN CHILDREN can be seriously frustrating for parents. KLEPTOMANIA, which is the recurrent failure to resist impulses to steal objects/substances not needed for personal use or monetary value-- Shulman center, united States. Parents of children exhibiting kleptomaniac tendencies often find the parenting job a herculean task. As a parent, taking awareness of the early years of children is a crucial aspect in curbing kleptomania at the preliminary stage. A child left on his own will always wander and/or dabble into different things which are most of the time, not palatable. As parents, you should have an ' EAGLE EYE' over the affairs of your children. Study your child carefully so as to quickly and efficiently curb any form of anomaly before it becomes a shield wall. However, learn not to OVERKILL! AN up-to-date counselling should also be implemented for a child BATTLING with KLEPTOMANIA. A well planned orientation programme for the child will go a long way in undoing the cords of this anomaly. As parents, have a one-on-one talk with the affected child about the abnormality to find why he steals. Sadly enough, in many homes today, this serious issue is been handled on a low-key. Parents should counsel children from time to time on the negative effects this anomaly could have on their personality and lives as they age. Also, a word of prayer and citations from the holy books may help in the process. You would only be playing pranks on yourself when you claim to be recovering from a particular situation or crisis and you still place yourself in a position where the possibility of reoccurrence is almost certain. There are many dimensions to it. When children live in homes where there are often conflicts, violations of rights and denial of some basic needs, such a child may end up as a KLEPTOMANIAC. To further curb this aberration, you can restrict such a child from situations or environments that births KLEPTOMANIAC TENDENCIES. 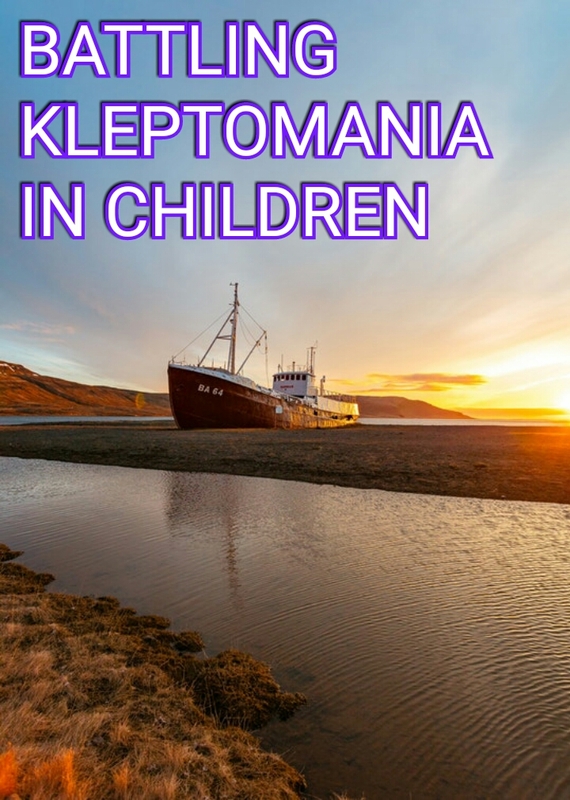 KLEPTOMANIA robs a child of his dignity and shape him as a potential criminal.. Therefore as parents, you need to understand that the child needs special care and attention. REMEMBER, it's easier to break a brick while its wet than when it solidifies. It's better to tackle the problem at the ' child stage' than it is to repair an adult.